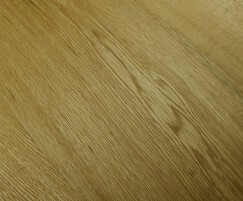 Our popular Handscraped engineered flooring is now available in both pre-oiled and unfinished 189 x 15mm boards. These now feature alongside our 148, 220 and 260mm ranges, which are supplied in a range of sections, finishes and stains. Handscraped flooring is often the choice of homeowners with older, more traditional properties as it features a rippled texture that gives the impression of years of wear. As an engineered board it features a solid wear layer of oak, so offers all the advantages of solid equivalents, but is far more stable and easier to lay. The 189mm is sold in packs of 1.4364/m2, comprised of 1.9m lengths, but with two short boards permitted. The finished boards have been pre-coated with two layers of hard wax oil, although we suggest the application of an additional layer to seal the joins once fitted. The unfinished board is ideal for those looking to apply a specific stain, oil or lacquer.